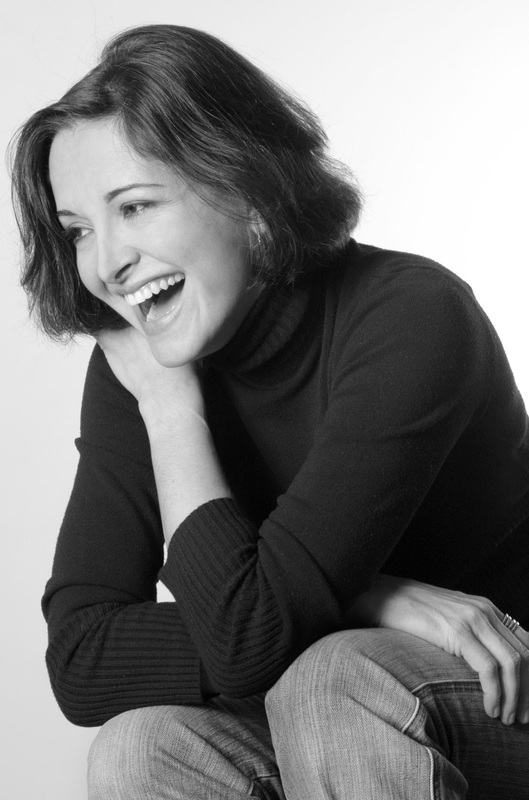 We are thrilled to present storyteller and children's author Carmen Agra Deedy, author of over a dozen picture books, a chapter book, and a highly acclaimed collection of NPR commentaries. I (Sylvia) had the pleasure of seeing her storytelling at my daughters' school a few years ago, and she blew me away with her humor, heart, and mesmerizing presence. How did you start storytelling and writing children's books? 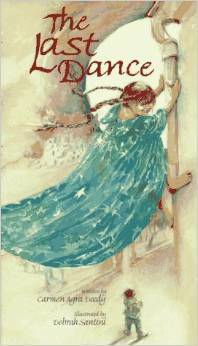 My love of stories began when I was a little girl; I take no credit for it. I grew up surrounded by storytellers, both in my own refugee Cuban community as well as the colorful Southern town that was my home from the time I was three. I firmly believe that good narrative is best learned when you are exposed to wonderful stories and marvelous storytellers from a young age. In other words, the best storytellers and story writers begin their careers (often unbeknownst to themselves) as story listeners and story readers. 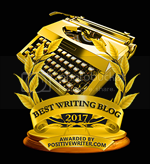 I did not begin writing stories until I was nearly thirty years old. By that time I was the mother of three young girls. I want to say that love of story was the impetus behind my writing, but really it was Motherhood, with a big fat M. For a young family on a budget, the library can be an unexpected boon. My daughters and I spent most of our summers at the library. 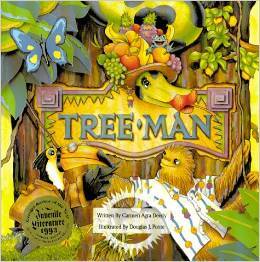 I fell in love with many of the same picture books my children loved. In time, I tried my hand at writing a picture book of my own and eventually submitted it. 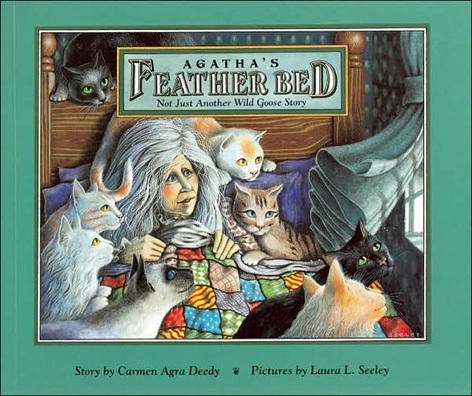 AGATHA'S FEATHER BED was published in 1991. What is the relationship between your storytelling and writing? They are quite separate, really. That may seem odd, but it’s true. I don’t tell the stories I write (MARTINA THE BEAUTIFUL COCKROACH being a singular exception) and I don’t write the stories I tell. Although I see this dynamic as possibly changing as I grow older; I’m playing around with a new chapter book idea based on childhood stories. That said, storytelling has certainly informed my writing in one critical way: telling folktales, fairytales, and family stories in the oral tradition allows me to work out story structure in a very uncomplicated way. How many of us begin writing a story without a strong sense of the thing as whole cloth? I surely have. But when I talk through a story I find that a plot hole, a non sequitur, or a sequence problem comes to light very quickly. This is a tremendous help BEFORE I commit words to paper (or laptop). Which of your books are your favorites or have special meaning for you? I am currently working on a YA novel set in Cuba in the 1930s. It was inspired by my father’s story; he learned to read as a young teenager. Although the book as a whole is a work of fiction, many of the characters (and a handful of events) come from interviews with my dad. He is 90 years old and still has a memory as sharp as a Cuban machete. This book is very personal and so I am struggling to make it real and funny and not terribly earnest. Literacy is a huge issue; according to UNESCO statistics, 26% of the world is illiterate. Literacy is a subject I speak in support of frequently––but what is the world really like for an illiterate person? Are they any less intelligent? Do they lack profundity of thought simply because they may not have an extensive vocabulary that allows them to posit those thoughts? How does someone daily negotiate her / his way through a world of letters, characters, running script? What is the imaginary life of someone who doesn’t read and write? Where do their stories come from? As you can see, I’m pretty nuts about this project right now. We’ll see what comes of it. It’s scheduled for release within two to three years. The YA novel I just mentioned, of course; last October it was contracted by Peachtree Publishers (a house I dearly love for its adherence to high publishing standards and great heart). The current working title is: THE BOOK OF UNINTENDED CONSEQUENCES. I also have a picture book due out in 2017, with Scholastic. It’s called THE BRAVE LITTLE ROOSTER. 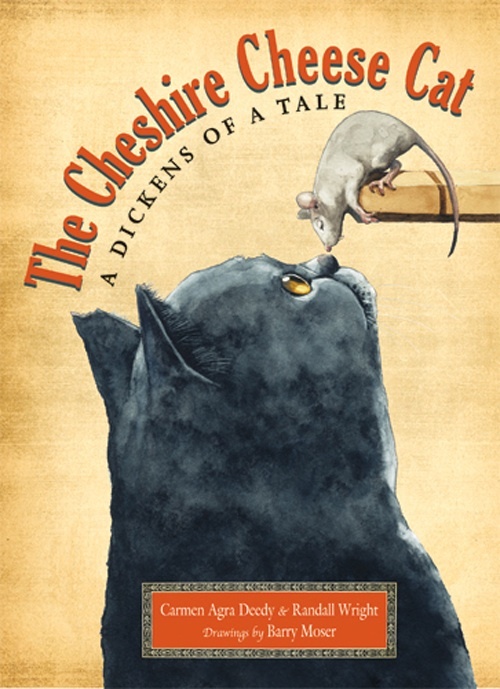 Newberry-Honor winner Eugene Yelchin will be illustrating. What advice would you give to an aspiring children's writer? “Bite me” is also one appropriate response to this kevetching. One more small suggestion: read older titles. Although it is important to be relevant, many of the finest children’s books became so because the writer wasn’t following trends, she / he understood the timelessness of universal truths. THE SECRET GARDEN, ANNE OF GREEN GABLES, THE BFG, TIKKI TIKKI TEMBO, THE CIRCUS IN THE MIST, CORDUROY, FERDINAND THE BULL. . . read them not just for content, but for the stellar use of language. Knitting, embroidery, French hand sewing; you name it. I had my first lesson (tatting) when I was ten. There were three old Cuban women in our apartment complex (my mother referred to them as Macbeth’s crones––albeit in an eye-rolly sort of way). The three sisters would sit by their front door in lawn chairs and make lace, or embroider pillowcases, or knit booties; pretty much anything you could do with any manner of needle. They were fabulous gossips and my mother didn’t approve of them on general principal. Naturally, I adored them. One day, as I passed their door, I asked one of them what she was doing. Blanca explained that she was tatting, and she let me see the shuttle and the gossamer-thin cotton thread. I was fascinated and asked her if she would teach me. She told me that if I came back the next morning she would give me my first lesson. I doubt she thought I’d show up. She must not have known how boring my 10-year-old life was. To her credit, the she kept her promise when I appeared at her door the next day. Blanca and her sisters taught me that something made by your own hand was a gift to the recipient of the hours of your life. When I travel I usually make time to suss out musty old shops for linens with handwork. Samplers, handkerchiefs, antimacassars (look this one up––it’s great); when I come across old pieces I’m always overcome with a sense of connection and affection for the unknown girl or woman who set aside time in her life to craft something that would make her home, or that of a friend, a more beautiful place. Now that was probably more than you wanted, or needed, to know. Like I said . . . you asked. Please feel free to send pithy (or chatty) comments or questions. Thank you so much, Carmen. You can also check out the four-time Emmy winning kid friendly show that she hosts, Love that Book (check out "Kindness Counts"). 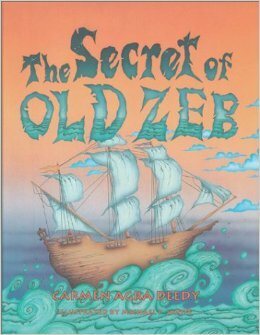 Carmen Agra Deedy has been writing for children for over two decades. Born in Havana, Cuba, she came to the U.S. as a refugee in 1964. She grew up in Decatur, Georgia, where she lives today. 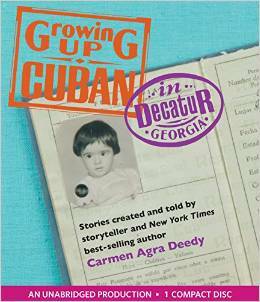 Deedy began writing as a young mother and storyteller whose NPR commentaries on All Things Considered were collected and released under the title, GROWING UP CUBAN IN DECATUR, GEORGIA. Carmen’s children’s books have been widely-recognized bestsellers. 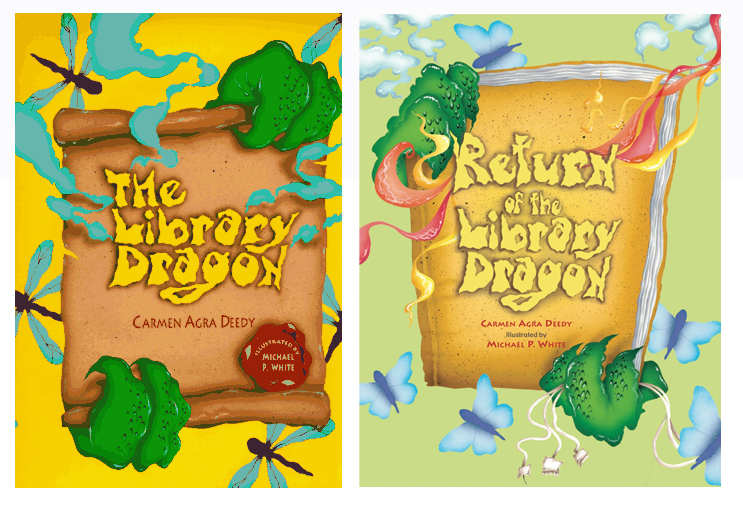 THE LIBRARY DRAGON received various children’s state book awards and has sold near half a million copies. 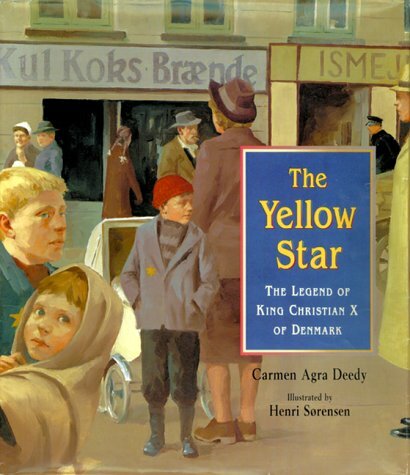 THE YELLOW STAR received the 2001 Jane Addams Peace Association Book Award (Honor), the 2001 Christopher Award, the 2000 Parent’s Choice Gold Award, and the 2001 Bologna Ragazzi Award. 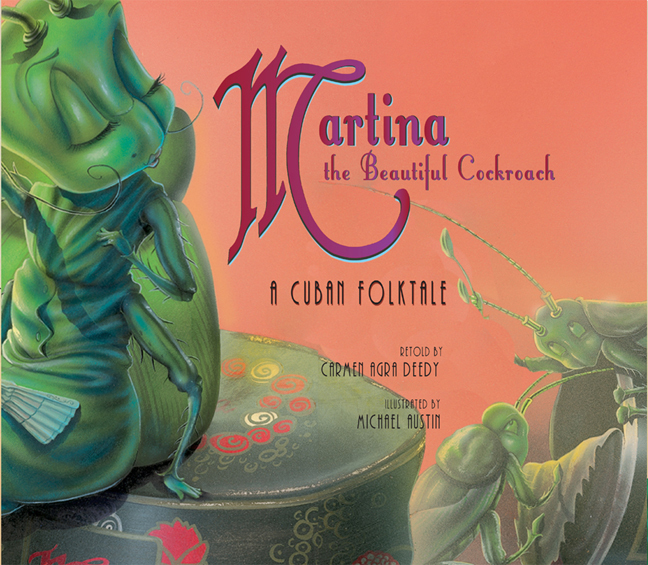 MARTINA THE BEAUTIFUL COCKROACH won the 2008 Pura Belpre Honor Award, the 2008 NCSS/CBC Notable Social Studies Book Award, the 2008 Best Children’s Books of the Year, the 2008 International Latino Book Award, the Irma Simonton and James H. Black Award (Honor), the 2008 E.B White Award (Nominee), and the 2009 ALA Odyssey Audio Award (Honor), and the California Young Readers Award, among others. An ardent supporter of libraries, Carmen Agra Deedy was the 2008 National Spokesperson for School Library Media Month (AASL). She has spoken before Noble Laureates and Pulitzer Prize winners, CEOs of major corporations, and heads of state. Over a span of twenty years, Deedy has told stories to hundreds of thousands of school children. They remain her favorite audiences. I enjoyed reading about Carmen's fascinating perspective! I think in some cultures where oral tradition dominates, being illiterate doesn't matter so much and their imagination comes from verbal story-telling like it used to be in humans' ancient past. But it is something interesting to ponder for people in our society.